Do you have a problem with moss on a roof? Mould on walls? Do you need gutter cleaning chemicals for moss removal? If you have moss on your roof tiles or moss in your gutters, or you need to remove algae, moss & lichen from your garden or paths then you need MOSSAWAY from Ashland Chemicals & Hygiene Supplies. Suitable for use by Professionals & home owners, can be applied to almost any moss infected hard surface area by use of sprayer or watering can, simply dilute, spray and kill moss. MOSSAWAY is a fast and extremely effective moss removal chemical. Mossaway leaves no smears, does not adversely affect any construction materials or brickwork, and the chemicals are highly biodegradeable and break down quickly after usage. The mossaway solution kills moss, lichen and algae quickly and effectively and creates a barrier to prevent re-infection for a period of time. Moss, Algae and Lichen Killer: 5 Litres of highly effective and easily applied moss removal chemical. 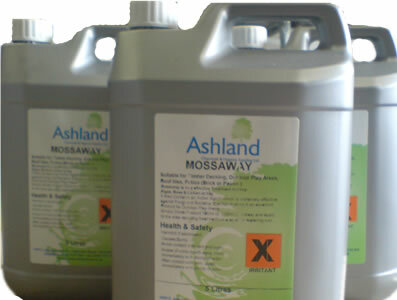 The Ashland Chemicals brand MOSSAWAY is one of the most efficient and popular moss treatment products on the market. It's also one of the best value products you will find for cleaning roofs and removing moss from roof tiles. No other effective moss killer is as consumer friendly as the fairly priced Ashland brand. Suitable for removing moss from Roof, gutters, Patios, Roof Tiles, Brickwork, Decking, Paving & Paths, Outdoor Play Areas, Tennis courts, Sports Areas etc - all you need is a watering can or sprayer to apply! 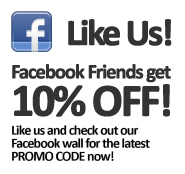 Contains an active agent which is extremely effective against Microbes, Fungii and Bacteria. 5 litres of mossaway is suitable for treatment of 100 Sq metres. Simply dilute and apply to affected area via a sprayer or watering can and mossaway will kill off moss, mould, algae and lichen. So if you have a problem with moss on the roof, or moss on roof tiles, then MOSSAWAY is the solution for you.